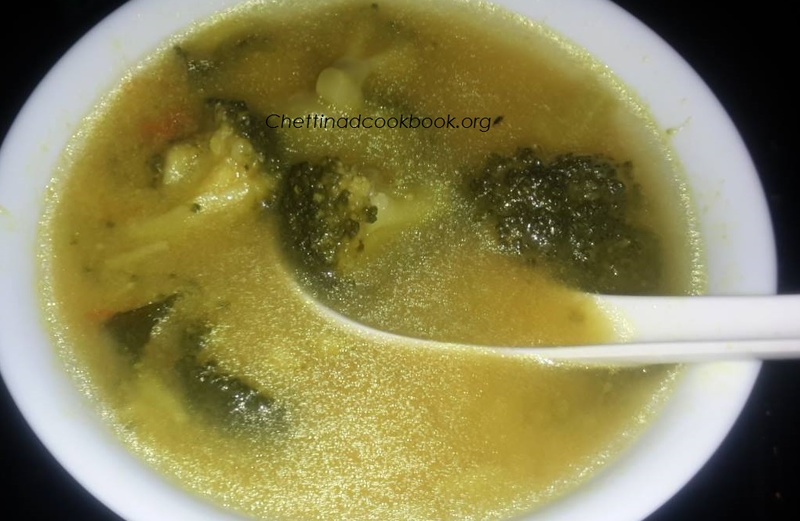 Broccoli Soup is a good appetizer with mild taste and healthy drink ,Normally we use Cauliflower for soup,but for a different taste I tried with nutritious Broccoli it is also equally good in taste to drink or with plain cooked rice.During the feast soup is surely served in chettinattu meals.Children like to drink diluted dishes soup and Payasam. Nutrients are compounds which lower the risk of developing diabetes, heart disease and certain cancers,Protect your skin against the effects of UV light – broccoli may help prevent skin cancer. Reverse diabetes heart damage – eating broccoli promotes the production of enzymes that help protect heart blood vessels and reduce the molecules that damage them. Reduce cancer risk – eat broccoli just three times each month and you could potentially reduce the chance of developing bladder cancer. Broccoli plant compound detoxifies air pollutants in the body. Therefore, to really get the most out of this vegetable, you should try to steam broccoli lightly. Steam cook Broccoli (cut in to medium sized pieces). Pressure cook moong dal,bring to boil Tomato, Onion and Moong dal together for 5 minutes add steam cooked Broccoli and boil for 2 minutes. Heat pan with 1 tsp of oil add Fennel seeds,garam masala powder and curry leaves to it, add boiling soup and add Coconut milk at last and allow it to boil for 3 more minutes. This can be served to drink or served with cooked plain rice or jeera (cumin) rice. Sprinkle pepper for more spicy taste.